With additional ballast of 500-700g it will reveal its full speed potential. 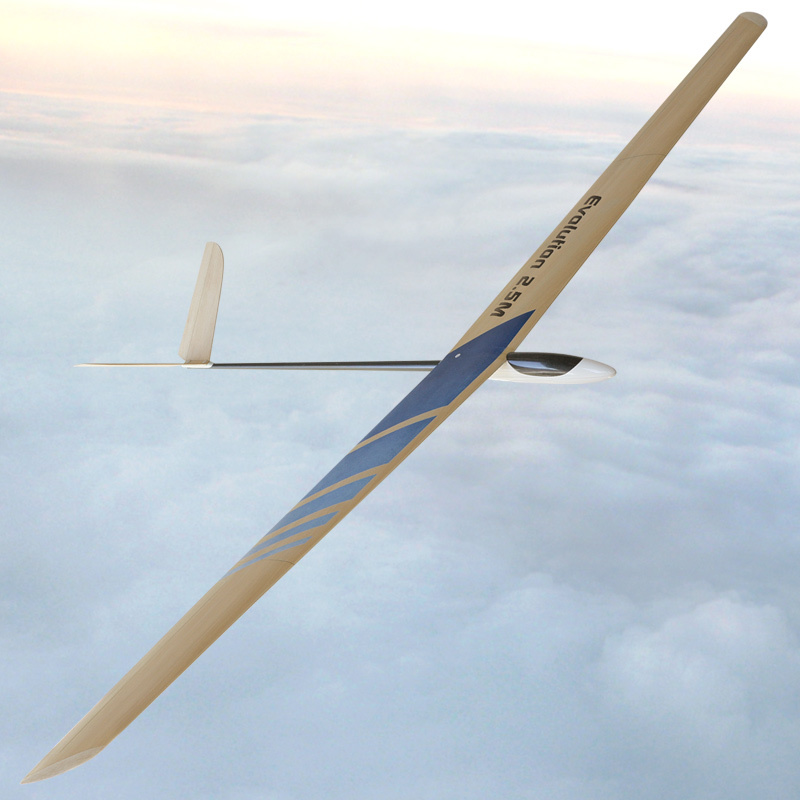 It features the MH32/30 airfoil that was specially modified for this sailplane, the benefits of that are a very wide range of speed and good thermal abilities. The Evolution wing could be built with ailerons and flaps or only with the ailerons if desired by the builder. 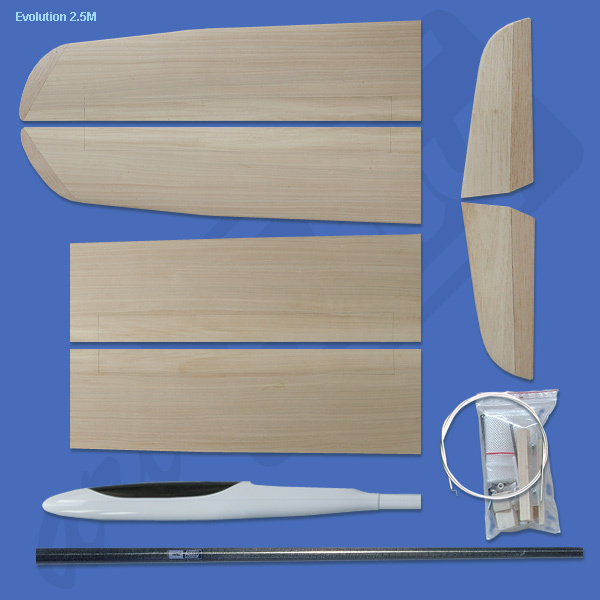 - light weight tail made from balsa, has pre-hinged control surfaces and is fully laminated with light weight fiber glass cloth for durability and stiffness. 1365 mm / 53.7 in.